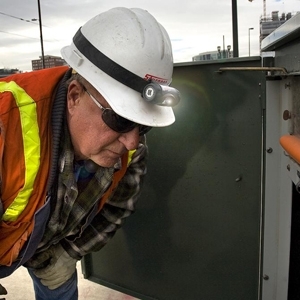 FOR SUPERIOR HANDS-FREE ILLUMINATION IN EVERY SITUATION, COUNT ON THE VIZION I. HIT IT, FREEZE IT, DUNK IT — IT WILL KEEP ON WORKING. The intrinsically safe Vizion I has all the features of the original Vizion and is available either with the traditional black woven band or a unique contoured rubber band designed specifically to firmly grip your helmet. 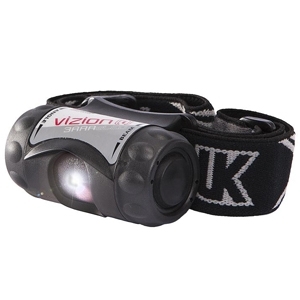 The Vizion I is remarkably lightweight and waterproof for use in the most challenging climates and conditions. Safety certified for use in hazardous locations. Please note that while this light is waterproof to a depth of 10 m, it is not meant for diving.